Mattukulele.com has gotten a major overhaul. We are working on providing all sorts of new features that will help you on your journey with the ukulele. Here are some of my favorite features. Cool Chord Weekly – Every week I will be posting a video of one of my favorite chords on the ukulele. These are designed to be interesting and fun voicings of chords that you can use in your everyday playing. They are organized in three levels Simple, Challenging, and Complex (Green, Yellow, Red) so players of all levels can see new ways of playing chords. 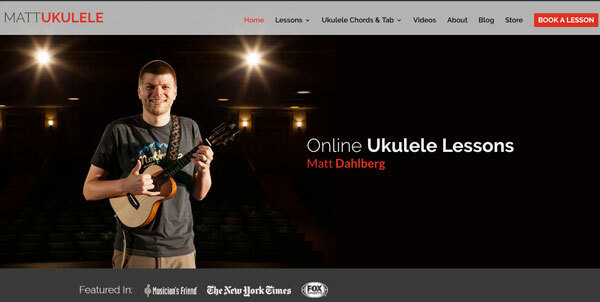 Ukulele Lessons – Between lessons available for streaming on Ukulele Underground and Facebook, as well as lessons through Skype in both private and group formats, you can find everything you’ll need to learn the ukulele here. You can even book lessons through the calendar directly on the site here! 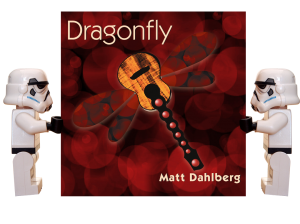 Store – My new album, Dragonfly, is out now! Be sure to check it out, as well as other albums I’ve been a part of here. Have fun with the new site and let me know what you think. Don’t forget to join the mailing list to keep in touch!